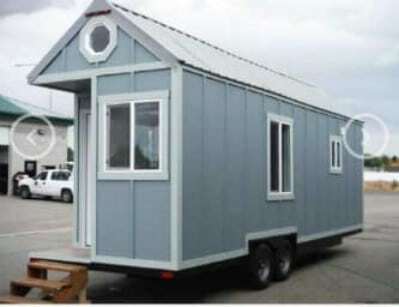 Lately there has been a flood of gorgeous tiny houses on the market for sale at surprisingly low prices. One such house which is well worth a look is this one currently located in Sklatook, OK. It was custom-built in 2014 by IdaHomes, and is being offered for only $37,500. 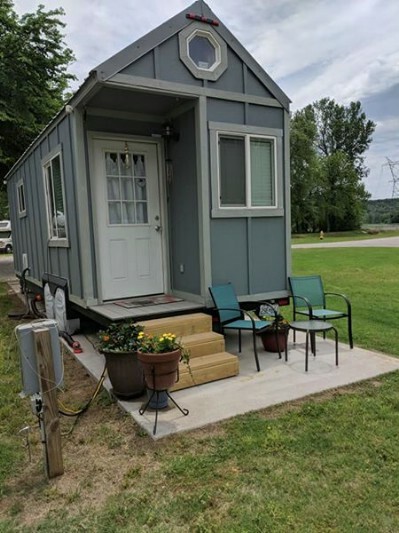 This is actually my first realization that a lot of tiny houses aren’t particularly handicap-accessible. It would really be depressing to have to leave a beautiful house like this for a reason like that—but the owner’s loss can be your gain. 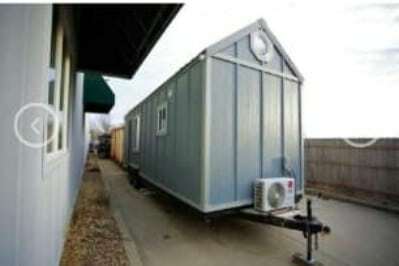 The home measures 26’ long by 8.5’ wide. This photo also shows off the blue color. 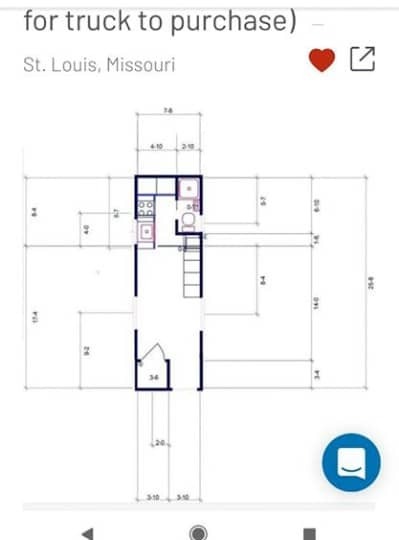 You can take a look at the layout of the house in this floor plan. The house is warmed and cooled through the use of a LG9000 btu 1 SEER AC/heat mini-split. It includes a huge array of amenities as well as support for additional appliances and features. These include a brand new propane hot water tank, two 20-gallon propane bottles, hookups for water, sewer, and electric (but you will need to outfit the home with the tanks yourself—a gray tank is provided, but not a black tank), and easy installation for setting up cable or satellite TV. 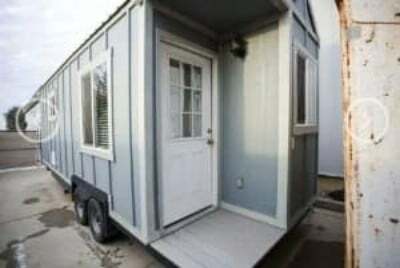 This tiny house is also secure and offers added convenience for those who have a hard time seeing at night. There is a porch light which turns on when it detects motion, as well as motion detector lights at every corner. Here you can see the bathroom. 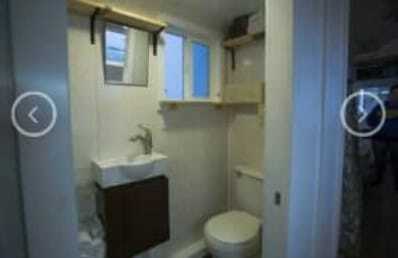 The toilet is visible, but not the shower—that is something to ask the seller about. The kitchen features an oven with a 4-burner stovetop as well as a microwave. There is a fridge and freezer too—not full-size, but not a mini unit either. Additional features for comfortable living include a closet with several rods, an extra storage area which can be used for clothes or as a pantry, and a sofa with storage areas underneath. A ceiling fan provides you with an economical way to stay cool on hot days (though you can always turn on the AC), and there are energy-efficient LED lights throughout the tiny house. Love this house and want to make it your home? 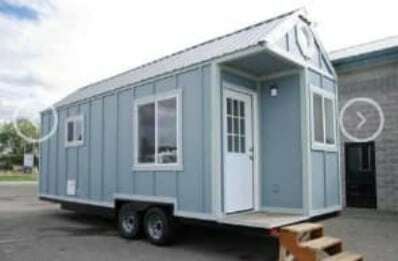 View the listing on Tiny House Marketplace. There, you can get in touch with the seller to ask additional questions or inquire about purchasing this lovely abode. 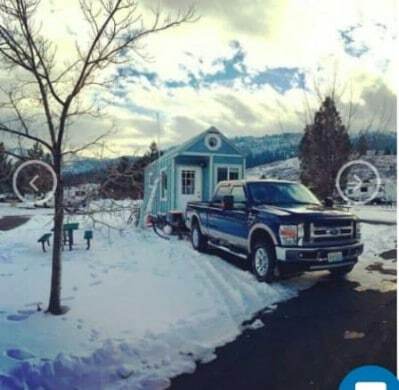 Where could you park these tiny homes.